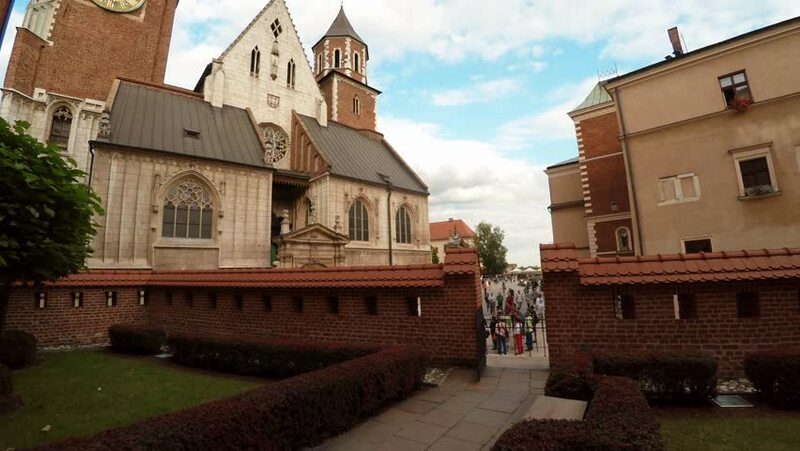 KRAKOW, POLAND - SUMMER, 2016: Wawel cathedral on Wawel Hill in Krakow, Poland. Shot in 4K (ultra-high definition (UHD)). 4k00:12Granada, Spain - April, 2017: Torre de las Damas - view from outside, at Alhambra Palace.